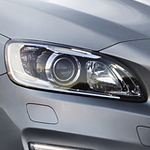 In a luxury vehicle like the Volvo S60, even the mirrors are equipped with advanced technology. 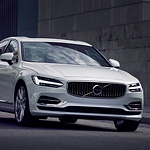 This popular luxury compact sedan is available at Volvo Cars Cape Cod with dimming mirrors to ensure that your vision is not affected by bright lights behind you. Enjoy the summertime adventure of a lifetime with Volvo Overseas Delivery from Volvo Cars Cape Cod! We all know that the Cape Cod area is one of the premier summer destinations in the New England area. After all, why wouldn't it be? With our pristine ocean views, historic villages, and gorgeous roadways crisscrossing the area, it's no wonder people flock here from all over during the warmer months. But as wonderful as summer life here in Cape Cod is, sometimes we all need a getaway.